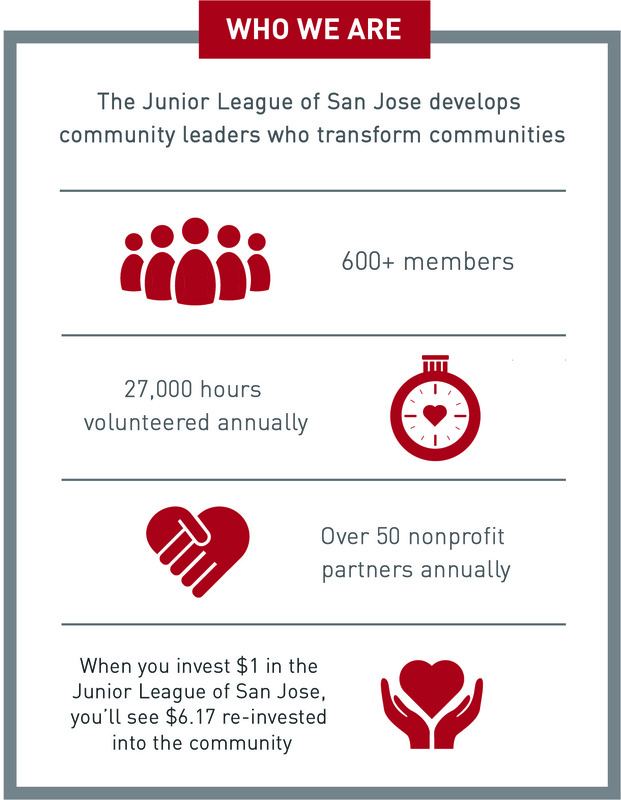 Thank you for your interest in joining The Junior League of San Jose! We cordially invite you to begin your Junior League of San Jose journey by attending an Open House, where you’ll get a chance to hear all about the great benefits of being a member of JLSJ and meet some of the amazing women who are part of this great organization. August 3, 2019 (Saturday) – Social 9:30 am, 10:00 am Event Start, click here to register! August 17, 2019 (Saturday) – Social 9:30 am, 10:00 am Event Start, click here to register! September 12, 2019 (Thursday) – Social 6:30, 7:00 pm Event Start, click here to register! October 5, 2019 (Saturday) – Social 9:30 am, 10:00 am Event Start, click here to register! We invite you to one of our New Member Open Houses to find out what the Junior League of San Jose has to offer. We would love for you to be a partner in our Mission to promote voluntarism, develop the potential of women, and improve the community. Support the JLSJ and Donate Today!